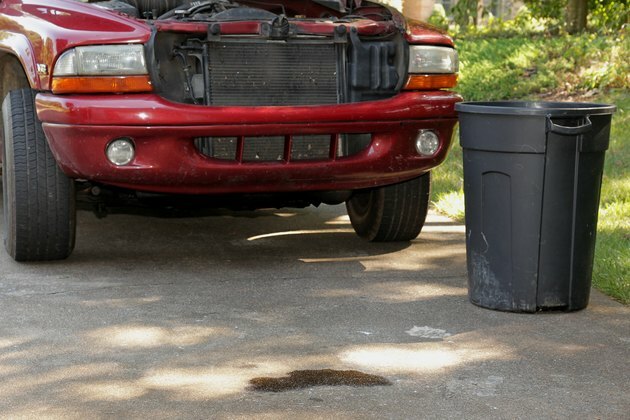 Grease spills can occur easily on a concrete floor, particularly when you do at-home automotive work or do other mechanical work in your garage or work shop. 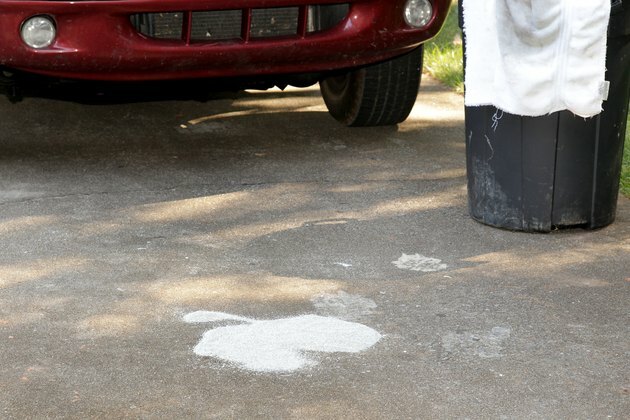 Concrete is porous material that absorbs liquid spills easily. 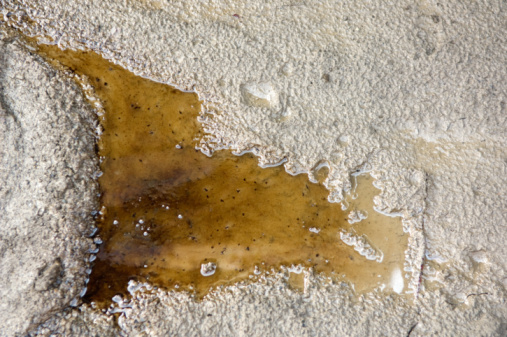 In order to prevent a discolored oil stain on your concrete floor, it's best to remove grease spills and stains as promptly as possible so the stain doesn't become a dirt magnet. Soak up the greasy substance on the concrete floor with old towels. Lay the towels over the grease stain, changing to different towels as needed. Discard soiled towels in a trash can. Cover the remnants of the grease stain with sawdust. Mound the sawdust over the grease so it can absorb the oil. Allow the sawdust to remain on the grease stain for three hours. 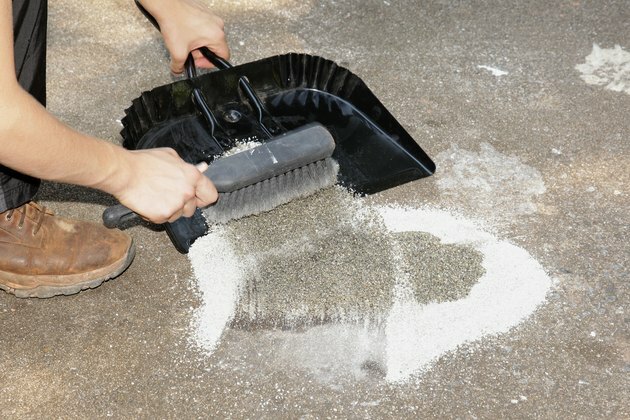 Sweep up the sawdust with a broom and dustpan and discard in the trash. 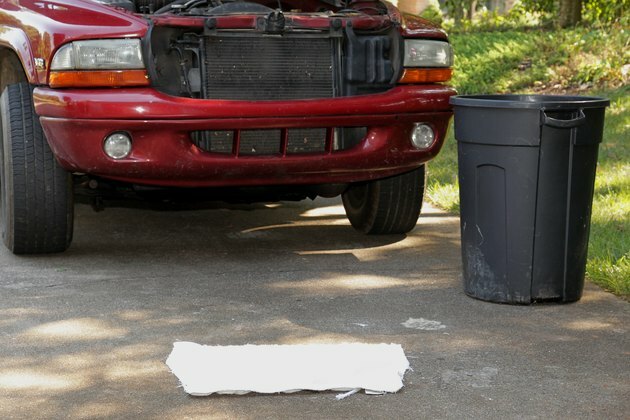 Fill a bucket with warm water and pour enough water over the grease stain to wet the surface. Sprinkle powdered dishwasher detergent over the entire stain. 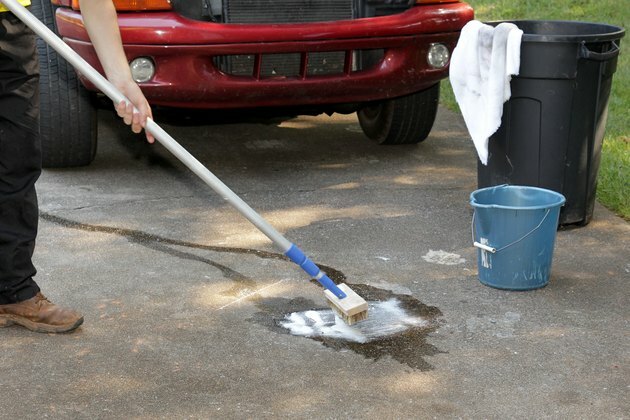 Work the detergent into a soapy lather by scrubbing the concrete with a stiff-bristled scrub brush. Allow the soap suds to sit on the concrete while you bring water to a boil in a pot. Pour the boiling water over the grease stain on the concrete. Wear rubber gloves to protect the skin from the hot water and scrub the concrete surface one more time. 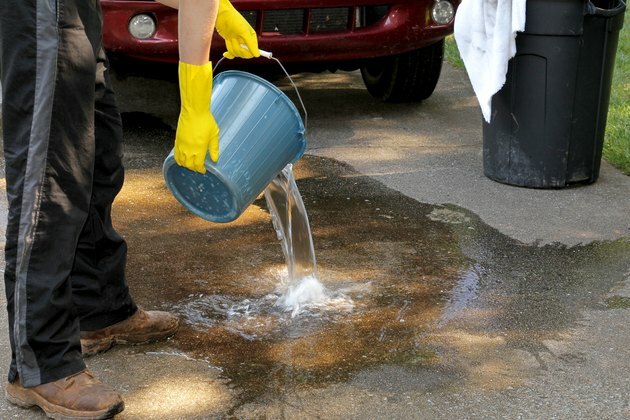 Rinse your concrete floor with a bucket of water, ensuring all the soap suds are removed. Dry with old towels.